Zoiks! Online - The Very Best in Stand-Up And Music! 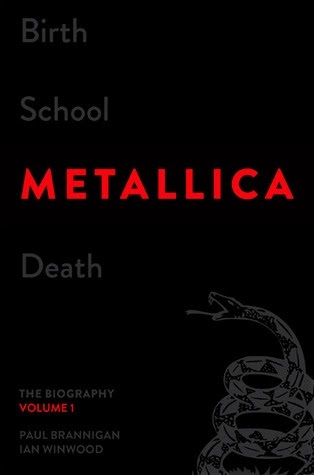 : Contest: Metallica’s ‘Birth School Metallica Death: The Biography, Volume 1’ Giveaway. Contest: Metallica’s ‘Birth School Metallica Death: The Biography, Volume 1’ Giveaway. Tweet “Birth School Metallica Death: The Biography, Volume 1,” the first of the definitive, two-volume biography of the biggest rock band in the world, told through exclusive interviews with the band members and the amazing team around them, is now out. Veteran music journalists Paul Brannigan and Ian Winwood detail the group’s meteoric rise to international fame in this epic saga of family, community, the pursuit of dreams, and, of course, the music. But why buy a copy when you can WIN one? The only thing you have to do is “like” Zoiks! Online’s Facebook Page and one lucky winner will be chosen at random. The drawing will be held Friday, November 15th. "Like" Zoiks! Online for your chance to win. Also get updates in the stand-up comedy and music world.